The 1950s in Carnoustie: a beautiful seaside town on the Tayside coast, and a place which was to see rapid social and technological advancement during one of the fastest-moving periods of cultural change in recent British history. 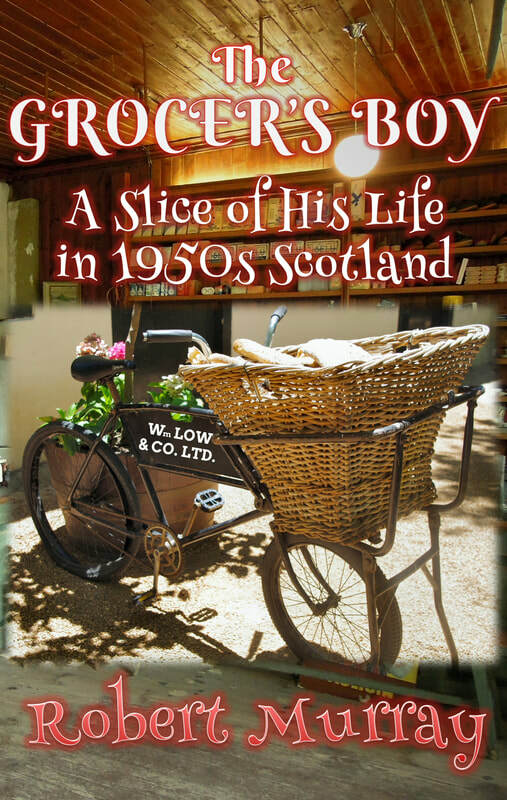 In The Grocer’s Boy, Robert Murray relates his account of an eventful childhood in post-War Scotland, drawing on fond memories of his loving family, his droll and often mischievous group of friends, and the many inspirational people who influenced him and helped to shape his early life. Join Robert on his adventures in retail as he advances from his humble beginnings as a delivery boy for the famous William Low grocery firm, all the way to becoming the youngest manager in the company’s history at just nineteen years of age. Read tales of his hectic, hard-working time as an apprentice grocer — sometimes humorous, occasionally nerve-wracking, but never less than entertaining. From Robert’s early romances and passion for stage performance to his long-running battle of wits with his temperamental delivery bike, The Grocer’s Boy is a story of charm and nostalgia; the celebration of a happy youth in a distinctive bygone age. Please note that Extremis Publishing Ltd. is not responsible for the content or service provision of any external website, company or organisation. Copyright © 2015-19 Extremis Publishing Ltd., all rights reserved.